Len visited and talked with lots of kids and their parents about all the different cool things to see and players to watch while they were on the range at the tournament. The juniors loved being there and were looking forward to getting a lot of autographs and golf balls from the players. The Jim and Tabitha Furyk Foundation’s charity event on Sunday included a closest-to-the-pin contest on the famous 17th hole at TPC Sawgrass, with about 15 tour pros vying for the prize. Len Mattiace’s shot to just eight feet was the best of the evening, earning his foundation $5,000 that will benefit Northeast Florida schoolchildren in Mattiace’s Stop the Bullying Campaign. JAGA and the North Florida PGA section hosted a big dinner last night. Anne Nimnicht was the Deane Beman award winner and I was the featured speaker. I talked about winning the JAGA Junior Championship, golf in Jacksonville, his college days at Wake Forest, and life and experiences on the PGA TOUR. Wrapped it up with my foundation work. Also pictured is Dennis Walters. He’ll be inducted in the world golf Hall of Fame this summer. Walters was paralyzed from a freak golf cart accident in his early 20s and was admitted into the Hall of Fame by distinguished service lifetime achievement. I first met him when I was 10 years old at a junior event in about 1978, when Walters was starting to do his clinics hitting golf balls from a custom golf cart that could swivel because he was paralyzed, and he’s been doing it ever since. Reading his book was encouraging and inspiring while I was rehabbing my torn ACLs. 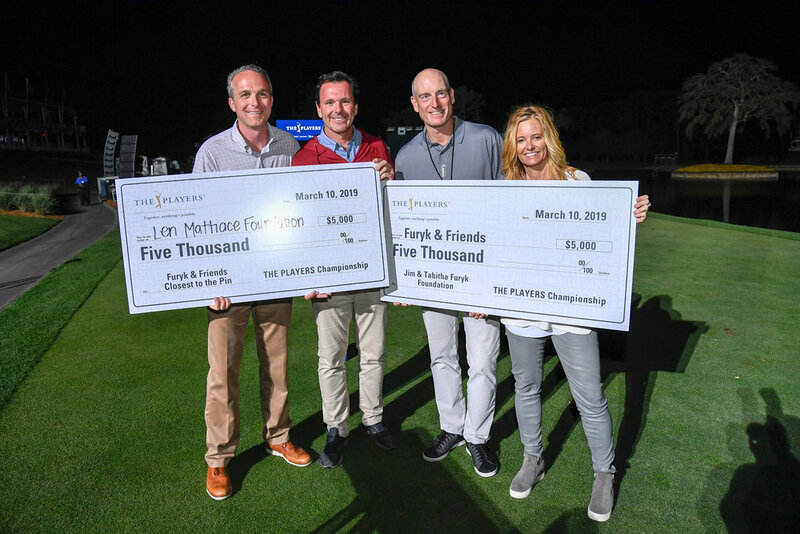 The pros came out in big numbers this year to help raise money for The First Tee in the second annual Len’s Friends Foundation Pro-Junior Chmpionship at the TPC Sawgrass Dye's Valley Course. The PGA Tour, PGA Tour Champions, Web.com Tour, LPGA and European PGA Tour were represented in the event in which one pro and one area junior player competed in a best-ball format. The winners were veteran club professional Rod Perry and Michael Saccente, who shot 60. PGA Tour veteran Steve Wheatcroft and Casey Weidenfeld were second with a 61 and Web.com Tour player Justin Hueber and Tiaan Mattiace were third with a 63. Also competing in the tournament were host Len Mattiace, David Lingmerth, Tim Wilkinson, Russell Knox, Morgan Hoffmann and Luke Guthrie of the PGA Tour; Julian Suri of the European PGA Tour; Vijay Singh of PGA Tour Champions; and Amelia Lewis, Julieta Granada and Michelle McGann of the LPGA. Past PGA Tour winners Bob Dickson and Donnie Hammond; and past Web.com Tour winner Jeff Klauk also played. 2016 Pro-Junior Championship Raises $10,000 for The First Tee of North Florida! Our first-time event matched current and former pro golfers with the best junior golfers in the region. Entry fees for the tournament together with donations from companies in the Jacksonville area contributed toward our donation for The First Tee of North Florida. We had 50 teams compete for a purse for the pros and merchandise for the juniors! LGPA Tour player Amelia Lewis and junior Spencer Schindler won the first-place prize! The 2006 Lens Friends Charity Classic presented by Bayer was a huge success!! The Event raised $90,000 going to both the First Tee of Jacksonville and The Otis Smith Kids Foundation. A Very Special Thanks to Bayer Corp. for being our Presenting Sponsor again in 2006! Our other major sponsors were the PGA TOUR, The MPS Group, Coggin, The Golf Club at South Hampton, and The World Golf Hall of Fame. Carrabbas, Bono's BBQ, Starbucks, Panera Bread, and Kilwins Chocolates were fantasic food contributors. 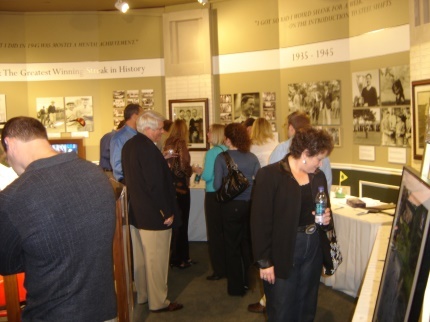 Our Dinner and Auction was held at the World Golf Hall of Fame. 300 people attended the great evening bidding on over 120 silient auction items, and 5 Live items. There were lots of games, free prizes and huge amounts of fun during the evening. Thank you Jody Sutton and her team at the Hall of Fame for doing a great job. Some great jewelery was on display and for bidding was brought in by Hana and Her Sister, a jewelery company located in the Jacksonville Landing. During our Golf Day at South Hampton we had 28 groups play for 20 Team Prizes. A special Thank You to Callaway Golf for providing most of the prizes and product, and to all other golf companies for supplying great prizes. The staff at South Hampton was awesome: Thank you MG Orender, Travis Norman, and Kimberly Lawlor for your great help. Mark Davidson Wine donated plenty of excellent wine for everyone to enjoy and thanks to Coca-Cola for providing all the sodas and water for our event. Brian Goin and his staff were key players and outstanding contributors for the event! The Lens Friends Foundation has now raised close to half a millon dollars for local Charities here in Jacksonville. It is founded and run by Len and Kristen Mattiace. "We want to thank all the companies mentioned above as well as all of the individual contributors who helped us raise money for our 2 Kids groups. Bonnie Upright and Pepper Peete are doing great things for their respective groups. We look forward to more fun, exciting events like this in the near future!"